I know I already showed you all the finished top for the pillow that I made at Sewtopia in the class by Rita of Red Pepper Quilts. I absolutely love how it turned out! I did a simple cross hatch quilting a la Rita to just play with the lines of the design. I used a hera marker to mark out all of my lines and get them straight. Have you guys used a hera marker before? It took me a long time before I hopped on the bandwagon but I’m totally sold on it now. Quite frankly I think that this post will mainly be eye candy. 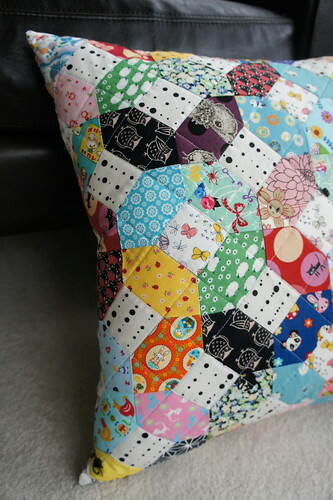 I just love how the pillow turned out with the scrappy little japanese fabrics and the two different low volume fabrics. 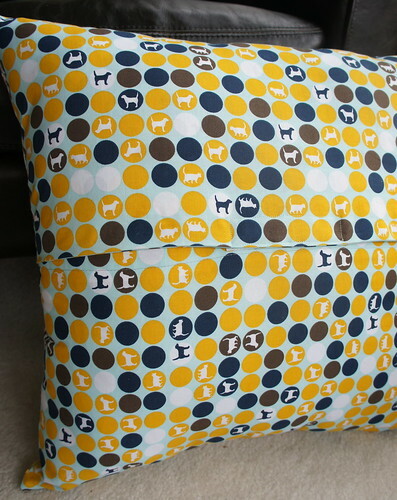 I used a fun print I thought was in line with the front for the back of the pillow. It’s a special fabric that Laurie Wisbrun sent me and I’ve been waiting for the perfect place to use it. I did an envelope closure with velcro…a new closure type for me. So beautiful and love your fabric combo.Great job!! I think it's darling! I love it! It's like a fancy I spy pillow. Fun!! If I could take a class from anyone it would be Rita!! 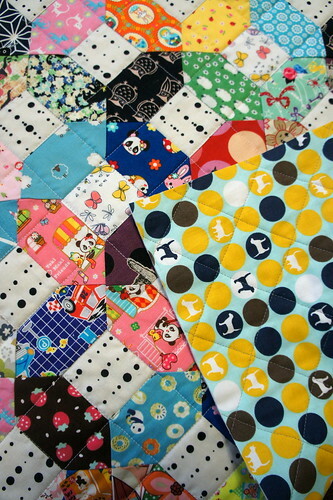 She is my favorite quilter! Your pillow looks Great!! 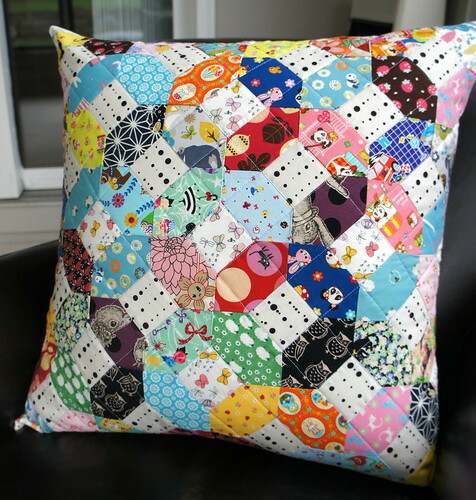 I finished my pillow with an envelope back, too. 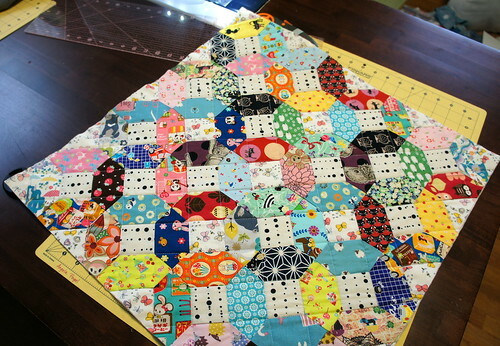 My blocks were smaller so my pillow finished at 16" which means it's a little overstuffed. Now I think I'll copy you with the velcro to keep it closed! Fun memories in these pillows for sure! This makes me want to quilt mine and get it made into a pillow. Very cute.